When the iPhone reached the consumer market, it completely changed everything. Devices made by major industry players like Blackberry and Nokia were practically rendered obsolete overnight. Apple showed us what mobile phones were really capable of doing. And once we saw it, we could never look back. Another technological sector has reached this junction point: Wearables. While fitness trackers like Fitbit are undeniably impressive, it’s crystal-clear that wearables have greater potential than anything being done right now. Where will the inspiration and innovation come from that transforms wearables from nice-to-have devices into everyday necessities? Healthcare. Before he became the Founder and CEO of Australian wearable company dorsaVi, Andrew Ronchi was a physiotherapist. Working in this capacity made him realize there was a crucial gap between wearables and health professionals. We’ve already taken the first step in this direction with wearables that can count the number of steps you take or measure your heart rate. But these capabilities haven’t made wearable devices a necessity in the eyes of consumers. To do this, healthcare development must take a different direction; it must pivot towards preventive medicine. Instead of just providing status updates, wearables could track patterns and make predictions about what comes next. This would make them a standard in preventive medicine. Think of it this way: the more informed a healthcare provider is, the quicker and more accurately they can find solutions to your problem. Making this accessible to the masses would create a new way for us to approach healthcare. dorsaVi’s work revolves around unlocking lab-quality data and insights at an affordable rate. Opening up this avenue produces plenty of use cases. We’d easily know what food we should and shouldn’t eat any given day to adhere to a diet. We’d know when to precisely start and stop an exercise. Beyond accessibility to vital information and insights, it would also give us certainty about situations. We’d be able to identify when we should worry (or not even care) about something that’s going on with our bodies. Aside from giving the average consumer new abilities, wearables would also make medical check-ups and appointments more efficient. Since they can seamlessly monitor and track real health metrics, wearables could reduce the number of lab tests and procedures we need to do at the doctor’s to find out exactly what is going on. This means less time testing theories and a faster diagnosis cycle. Today, many medical facilities and workers find themselves overwhelmed and burned out. As a result, we run into scenarios where sick people have to wait an inordinate amount of time to see a specialist. This is unacceptable. By expediting numerous processes, wearables can drastically reduce this wait time so we get answers and an action plan faster. On a grand scale, this will impact healthcare systems around the world in profound ways. Imagine having a “Check Engine” light for your body. It would empower each of us to take our health into our own hands more. With data and artificial intelligence, wearables can hone in on specific problems and remove the guesswork from the equation. And in healthcare, getting to the root of a problem efficiently and effectively is everything. But enough about the future—the best thing about the potential of wearables is that it’s already being realized right now. At this year’s Consumer Electronics Show in Las Vegas, developers showcased their best efforts at adapting wearables to focus on healthcare. Under Armour is partnering with an array of companies (Samsung, HOVR, JBL) to transform the running experience with its MapMyRun app. The collaboration lets runners see important details about their posture and weight distribution so they can not only improve their performance but prevent long-term health issues that come with incorrect running. Welt used CES to debut its smart belt for business professionals. The belt is capable of tracking overeating, activity, and waist size; it can even nudge people out of their chairs if they’ve been sitting for too long or alert them that too many calories have been consumed. The CES showroom floor was filled with examples like the above ones. 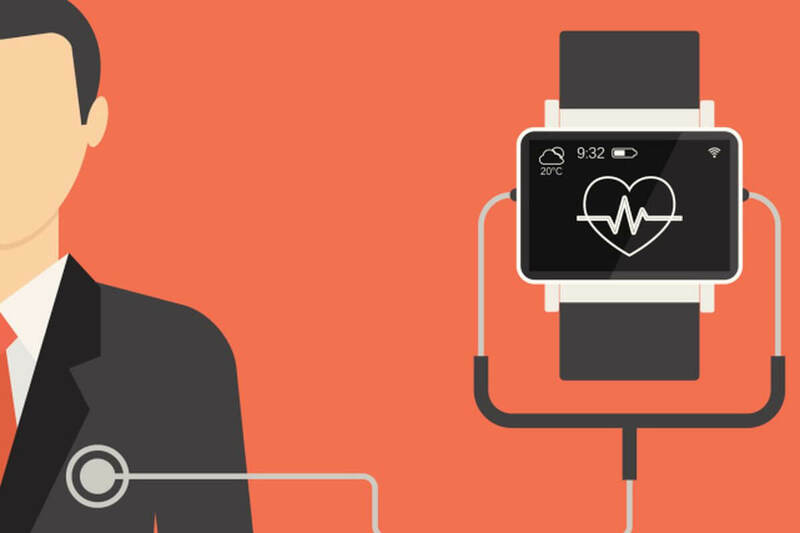 And more than anything else, it’s a sign of the times—it’s inevitable that wearables will revolutionize healthcare. Making the power of relevant health data accessible to all will transform the way we view our health much in the same way that Apple transformed the mobile phone market. And as in that example, once we see what’s possible, we’ll never be able to look back.